I’m a huge Batman fan, I mean come on; how can he not be your #1? 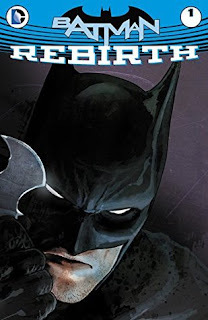 Unfortunately this rebirth issue fell a little flat for me. We are basically given this hint of things are going to change and then Bruce working out shirtless of the side of a building in an extremely hot day. Either way, as this was a transition issue from New 52 to the current universe I will definitely be sticking with this series.